The Endless | What The Fest!? BEFORE THE FILM: Join us for a reception happening from 8:30 – 10:30 at Vol de Nuit. Bring your ticket stub for free drinks! Co-presented by Shudder. AFTER THE FILM: Don’t leave your seat after the credits roll: we have a special presentation/hybrid Q&A by the filmmakers! Just when it seemed like filmmakers Aaron Moorhead and Justin Benson had somehow disappeared after their successful second film SPRING (2014), they return to the scene with their phenomenal third feature. What took them so long? Maybe it’s because, even for filmmakers who live in the city of angels, the typical projects that agents offer usually mean selling out. Or maybe these filmmakers love unique, hand crafted worlds that are too risky for the studios. Or it might be that their humor is just odd enough to make financers hesitate (but we love it!). But when so many filmmakers would have doubted themselves, and possibly quit, not these two. They seem to be able to reinvent themselves for every film, while somehow remaining true to their own unique Moorhead-Benson cinematic language. Determined to let nothing stop them, they go out with a camera, their friends, and themselves and, just like that, write, direct, shoot, produce and star in an awesome story of two brothers returning to their community that turns into a UFO death cult movie! This is independent cinema at its best, cooked in a delicious sauce that makes everything on the plate taste wonderful. With a hint of Lovecraftian spice, this colorful, stylized tale full of genius ideas could only come from Aaron and Justin’s kitchen. 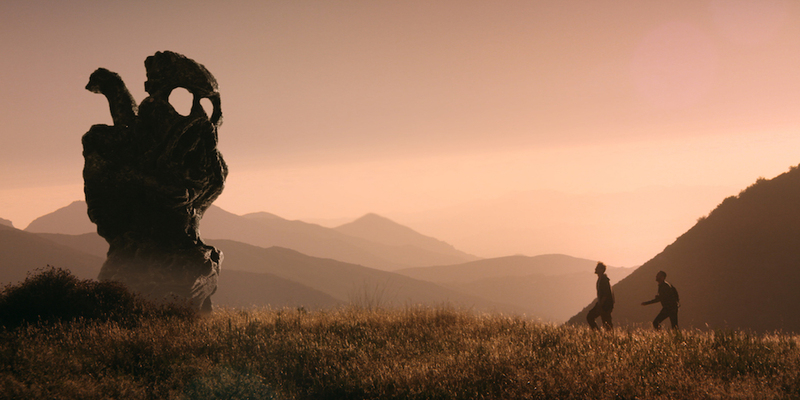 There are no other filmmakers out there quite like them, and there is no other film quite like THE ENDLESS.